Be the first to hear about their new releases and deals. Download the Booksprout app and search for Beth Henderson today! 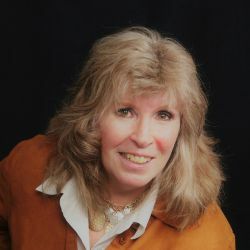 Beth Henderson's career as a romance writer began with the publication of NIKROVA'S PASSION, a romantic-comedy-suspense, in 1990. Since then she has written more romantic-comedy, YA romantic-comedy (as Beth Cruise), and historical romantic adventure. A native of Ohio, she currently lives in Kentucky. She holds a BA in American History with a minor in British Modern (Elizabeth I-Elizabeth II) and a masters in English Composition and Rhetoric with an emphasis on Creative Writing. Visit her at www.RomanceAndMystery2.com or via Facebook at BethHendersonAuthor and the Beth Henderson Books page, or on Twitter @Beth__Henderson.